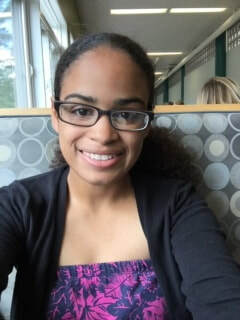 My name is Kyana Brizuela and I'm the Editor-in-Chief of the Spring 2019 edition of Nevermore. 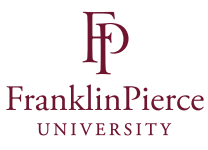 I am currently a junior at Franklin Pierce University, majoring in Creative Writing, with a minor in Fine Arts. Since my sophomore year, I have been a part of the editorial board for Nevermore. It is a great honor to now be working as Editor-in-Chief for this edition of Nevermore. I am truly excited to see the amazing creativity students and faculty on campus will bring to this semester's edition through their writing or art work. Hey! I'm Brigid Klaft, the Assistant Editor for the Spring 2019 edition of Nevermore. I'm a senior here at the University who recently switched majors to become a Creative Writing major. I've always enjoyed reading Nevermore, and I am excited to finally have a chance to get involved with it this school year, after switching my majors. I'm looking forward to working with the others to create a wonderful edition of the Nevermore Review this semester! Dr. Sarah Dangelantonio is our Nevermore faculty advisor who also serves are our editor-in-chief. She is Humanities Division Chair and Professor of English at Franklin Pierce University in Rindge, New Hampshire, USA where she has taught since 1990. A graduate of Spring Hill College in Mobile, Alabama (BA 1983), Saint Louis University (MA 1985) and the University of Georgia (Ph.D. 1996). Her Master’s thesis is “What is the Grass? Transcendental Strains in Kate Chopin’s The Awakening and Sarah Orne Jewett’s The Country of the Pointed Firs”and her Doctoral dissertation is “Studies Towards a Critical Edition of Thomas Hardy’s The Hand of Ethelberta.” She regularly teaches British Literature surveys as well as most of the other courses in British Literature. She was the 2006 CASE (Council for Advancement and Support of Education and The Carnegie Foundation for the Advancement of Teaching) Professor of the Year for New Hampshire and the 2012-2014 President of Sigma Tau Delta, The International English Honor Society. She has been guiding Nevermore’s editors since 2015. Her publications include the Instructors Resource Manual for The College Writer: A Guide to Thinking, Writing, and Researching, 4th edition, Fall 2014 and 2nd edition, Spring 2006, a review of The Complete Critical Guide to Thomas Hardy, February 2005, for The Thomas Hardy Association Website, “’The Franklin Pierce Plan’ Changing General Education Curriculum” in the New Directions for Higher Education Series, Spring 2004, number 125, Jossey-Bass: A Wiley Imprint, and The Riverside Guide to Writing: Instructor's Resource Manual, Houghton Mifflin, January 1995.